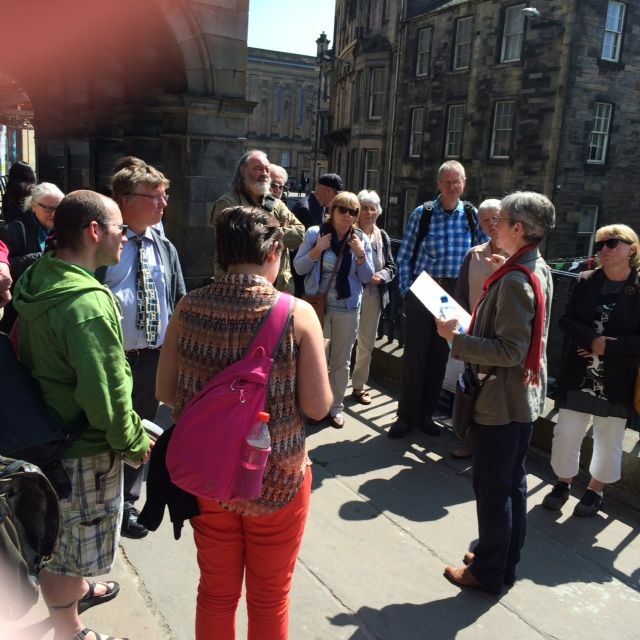 On Thurs­day 9 June, the Scot­tish Print­ing Archival Trust spon­sored a joint event with the Scot­tish Local His­to­ry Forum — Edin­burgh Print Trail ‘Walk and Talk’. 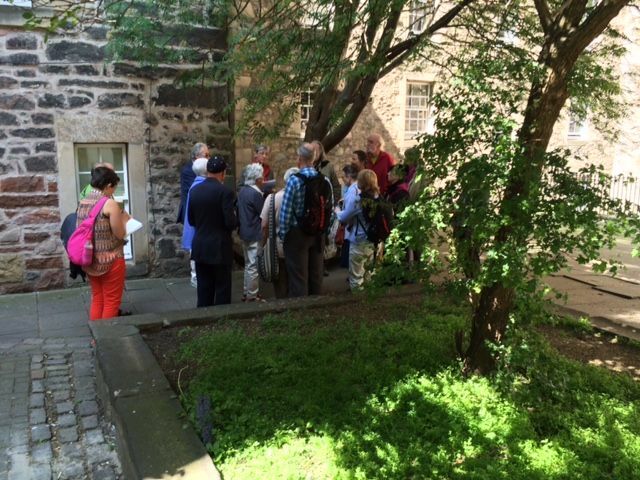 The talks looked at the print­ing indus­try and peri­od­i­cal press through­out Scot­land, and the walk­ing tour explored some of the print­ing and pub­lish­ing relat­ed sites near the High Street in Edinburgh’s Old Town. A group of just over twen­ty atten­dees were tak­en on a tour of the area cov­ered by the ‘cen­tral walk’ Trust’s Print Trail leaflet.